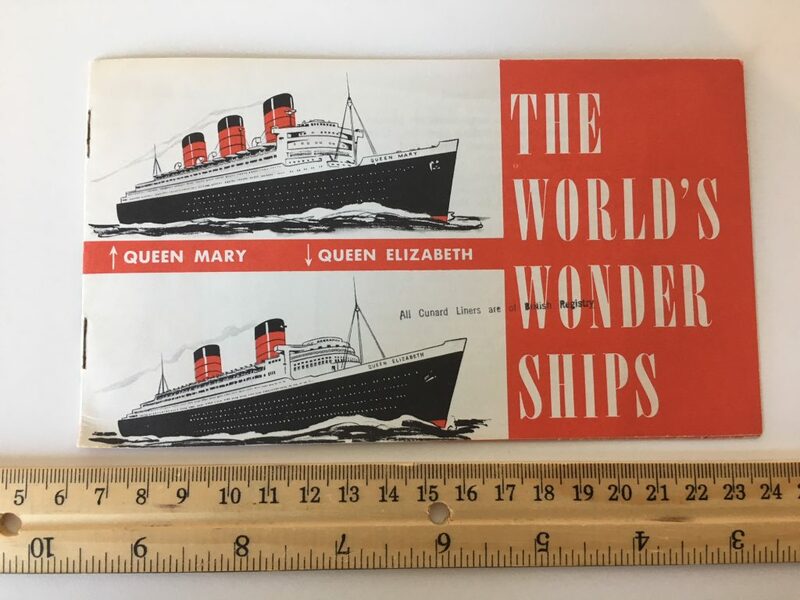 Super little brochure for the wonder ships queens Mary and Elizabeth. Chock a block full of facts and tidbits. This is dated 12/64. Within 5 years both ships would be retired and gone form the Atlantic.